Well let's get this out of the way since it's the most obvious highlight. The visuals were by far the best aspect of this film. The first thing that comes to mind is that this film's visuals are similar to that of the movie Inception, except multiplied by 10. The 3D special effects were done very well and didn't seem like a cheap money grab. I thought it gave just the right amount of psychedelic special effects without getting extremely too trippy. More importantly, the 3D effects were more than memorable and not just a "one and done" as in other films. Benedict Cumberbatch portrays the role of Doctor Strange pretty well in my opinion. The character is supposed to be arrogant and cocky, similar to that of Tony Stark from Iron Man. You get all of that from Cumberbatch to the point that at times you simply don't like his character, as a person. Both him and Rachel McAdams (who plays Christine Palmer) share fun and witty banter in various occasions. Thankfully McAdams wasn't just thrown in to be the helpless damsel in distress. Instead she seemed like a grounded character that was much more relatable to those of us in the audience. Doctor Strange was filled with much more comedy than expected. More specifically there's more physical comedy with a certain character that has a mind of its own. (You'll know it when you see it.) Besides that there were plenty of jokes and humorous moments in the film that will get some chuckles and laughs out of you. As we may know from previous Marvel films, the issue of having a underwhelming villain strikes again. While Mads Maikkelsen's performance as "Kaecilius" wasn't bad, his character simply didn't seem as moving. Rarely did he ever seem to elevate Cumberbatch's Doctor Strange character or really impose a threatening sense of urgency. The only other thing that I could see be a bit of an issue is the sense of over-familiarity. The film pulls from so many other Marvel films that it could feel a bit repetitive. Dr. Strange is Tony Stark and Christine is Pepper Potts from Iron Man 1. The comedy of this film is almost similar to that of Ant-Man. Dr. Strange's road to spiritual journey is similar to Thor's journey of becoming worthy again to lift his hammer. The list continues and I'm sure you may find more commonalities. Doctor Strange overall was another success for Marvel in my book. 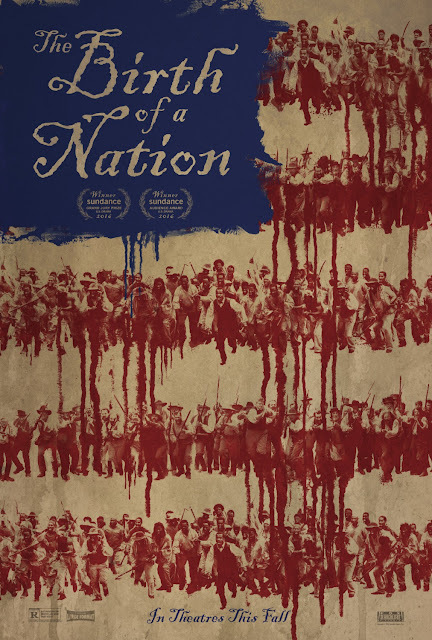 It was a relevantly safe film, though it did push a few boundaries in some form. Parents be advised that there are some S-bombs, and "A-hole" language throughout the film. There were also a bit more graphic deaths compared to what you may be accustomed to in a Marvel/Disney film as well. I think they were really aiming for a hard PG-13 rating here. 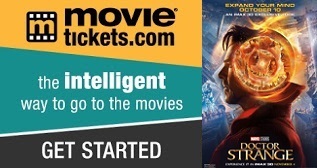 BONUS: Doctor Strange Free Movie Ticket Giveaway! 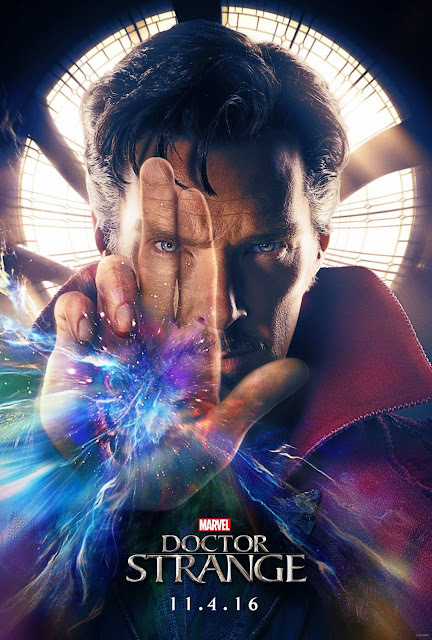 I know watching movies in 3D can get expensive so I'm going to hook up 10 lucky winners with a FREE movie pass to see Doctor Strange in theaters! Per usual, Tom Cruise does his best portrayal of a "tough guy" throughout the film. You can bank on some nice action sequences and fight scenes that will keep you entertained. Matter of fact, the fights scenes are probably the best parts of this film. What I enjoyed most was similar to what you may have seen in the trailer. It's always fun to see how much of an upper hand Reacher has over his opponents. The supporting characters also delivered for this film. Cobie Smulders proves once again that's she's fully capable of handling an action film role. My personal favorite was a performance by Patrick Heusinger (He plays the main bad guy.) I thought his character was built up nicely as the antagonist to counter Jack Reacher. It's always nice to see when a bad guy is able to push the good guy and challenge them to the very end. Unfortunately, the actual crime in the story is not all that interesting. While we are led down this mysterious path of "who done it? ", when we finally find out what happens, it's just that compelling. Rather it was more intriguing to see Cruise finally go head to head with the main bad guy. What's even more unfortunate is the final fight scene is a bit of a let down. There just wasn't as big of a pay off as was initially anticipated. There is a side story that develops between Reacher and "Samantha" (played by Danika Yarosh) and, for an action film, it often times felt a bit forced. Initially the way it was introduced, it was cleverly done and it made sense. However, the longer the movie progressed, it began to feel a bit more like a distraction. One minute we're focused on Reacher and Samantha's relationship, the next minute we're asked to focus on crime mystery that's developing. 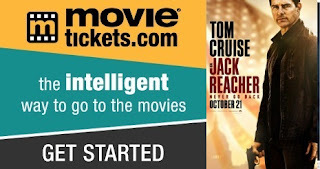 Overall, Jack Reacher: Never Go Back was a straight forward action film. You'll get your fight scenes and cheesy one-liners as expected. The film does try to add a bit more drama into the mix, though I personally didn't think that was really needed. If you were like me, you probably instantly noticed how Reacher was very similar to Bruce Banner in the old Hulk TV series. (Click here and you'll know what I mean.) 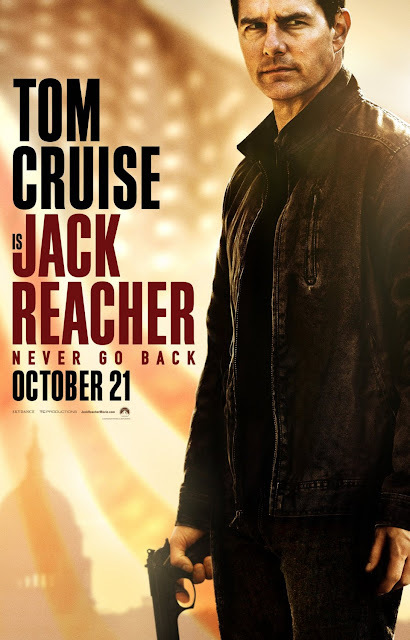 Jack Reacher: Never Go Back was still an enjoyable watch, and if you liked the previous Jack Reacher film, then you'll more than likely enjoy this sequel as well. Feel free to give it a look over the weekend. From beginning to end, it was very nice to see the level of awareness and care this film took to subtly educate the audience about autism. There were many instances where the actions many that we may deem as "weird" or "strange" were instead redirected to being viewed as simply "different". Affleck's character is rather unique and it was interesting to have the lead character be autistic. It made his training and execution of skills and smarts that much more intriguing to see. His skills will most definitely challenge many preconceived notions or views some may have about autism as well. Speaking of Affleck, he reminded all of us that he can handle action films with no problem. His fighting style was reminiscent of a combination of Jason Bourne and John Wick. He was quick, efficient, and lethal. The action scenes were nothing short of intense and suspenseful. Beyond that, his obsessive and compulsive behaviors were definitely a drawing appeal. You can't help but to be curious about his repetitive mannerisms (ie. blowing fingers). More specifically his social interactions are the most interesting. At times, his encounters with others can even be a bit humorous. His awkwardness and reactions with Anna Kendrick (who plays "Dana Cummings") lightened the mood a bit in the midst of some thrilling scenes. There were a few twists in the movie that weren't all too hard to figure out. A lot of the plot was pretty predictable once you get about 30% into the film. It's not the end of the world, but you get the sense that the movie banks on some of the big reveals. If you're not paying attention then you may get surprised by them. As one of my colleagues had said, "The Accountant was everything that Jason Bourne should've been." 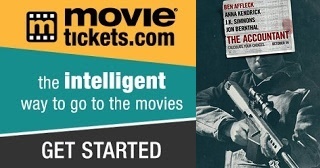 I'd probably say that this film is a mash up of Rain Man + The Bourne Identity. The film gives you a little bit of everything, while still feeling well balanced. 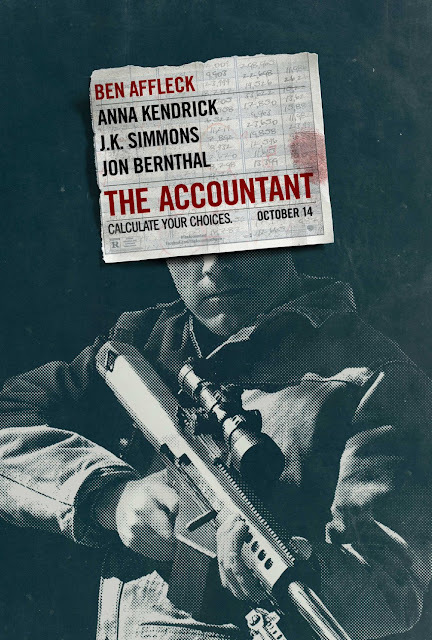 I enjoyed how The Accountant felt new but familiar at the same time. One thing is for sure, I wouldn't mind if they made more movies like this. 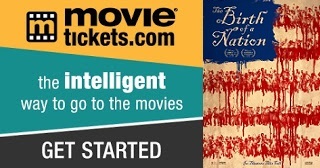 It's certainly worth the watch in theaters, so don't even give it a second thought. Go see it soon.